Posted by Sam Smith on Wednesday, May 23rd, 2012 at 6:50pm. 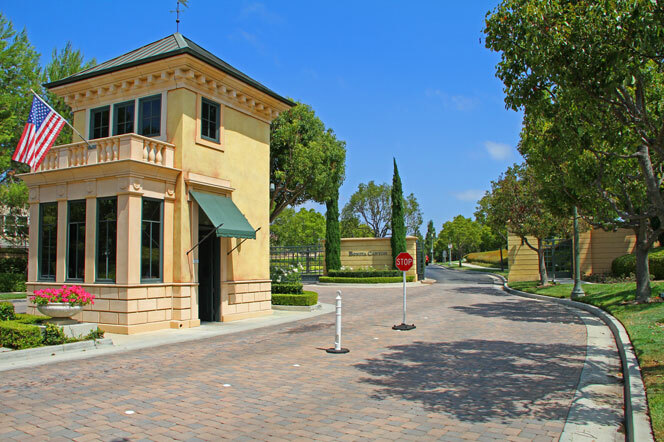 Bonita Canyon is one of the hidden gems if you are looking for a Newport Beach home in a gated community. Located in the heart of Newport Beach and just a few blocks away from the famous Newport Beach "Fashion Island" shopping center is a small gated community that features some of the best values to be found in Newport Beach. Current home prices start just under $1.4 million and go as high as $1,600,000. You will find several neighborhoods located inside the gates of Bonita Canyon with names like "Madison" and "Lucera" which are known for their unique architectural style and well thought out floor plans. The most unique architectural style to be found is the French Country style. These two story homes have great curb appeal and can mainly be found in the Madison community. Of course, you also have a nice mixture of Mediterranean, Spanish and Traditional style homes which are very popular in the Newport Beach area. The community has many open spaces and parks which allow for a real neighborhood feel. The location is second to none with easy access to the 73 freeway and about 10 minutes to the beach. Newport Beach gated community homes typically start just under $1 million dollars which makes Bonita Canyon homes a good value at the current price point. Please contact any of our Newport Beach Real Estate agents for a private showing of any of the Bonita Canyon homes for sale or for lease.